A spotty job market and stagnant paychecks cloud this Labor Day holiday for many workers, highlighting the importance of pocketbook issues in the presidential election. "Working harder and enjoying it less," said economist Ken Mayland, president of ClearView Economics, summing up the state of working America. Voters say jobs and the economy are among their top concerns in an election year marked by a struggling labor market seemingly unable to gain footing. In August, businesses added 144,000 jobs, suggesting that a sustained increase in hiring may be coming. Economists have hoped for that for months. An economy in transition may help to explain the bumpy job market. Technology and global competition are siphoning many U.S. jobs. Skyrocketing costs for health care, pensions and other benefits also are curtailing hiring. "If a company experiences an increase in demand that cannot be met with the current work force, it may find alternatives to hiring full-time employees, such as outsourcing overseas or contracting with a temporary help agency," said John Challenger, chief executive of Challenger, Gray and Christmas, a job placement and research firm. That is a concern for President Bush's re-election campaign, which had tried to make the case that the economy was "turning a corner." Analysts say that despite a summer slowdown, the economy is gaining steam by most measures. Also, the employment outlook is much improved from the past two years. "We have an employment sector that still has a considerable amount of slack, an employment sector that is definitely improving, but one that hasn't improved enough to yet recapture all of the losses of the recession in the post-recession period," said Martin Regalia, vice president and chief economist at the U.S. Chamber of Commerce. Hiring is surging in health care. Demand is up for social service workers. Architecture, accounting, engineering and other service businesses are adding jobs. So are restaurants, stores and hotels. Workers with construction skills are sought. People are working longer hours. As a result, productivity is more efficient, limiting the need for more employees. But wages and income, adjusted for inflation, are down or flat by most measures. But when benefits such as health care and pensions are included, compensation growth exceeds inflation. 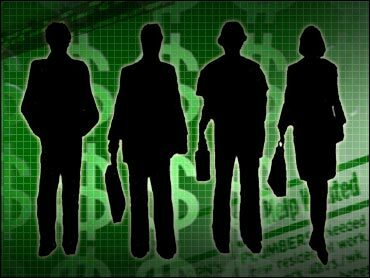 Economists say wages will rise as hiring picks up. Nearly two-thirds of 1,050 full-time workers in a Labor Day survey by Harris Interactive and Kronos Inc. said they have increased job responsibilities in the past six months. One-third said they were working longer hours and 62 percent claimed they had not received a pay raise. "The job market is still very weak," said Mark Zandi, chief economist of Economy.com. "Employers have the upper hand in any negotiation with employees, and that's weighing on compensation, particularly take home pay." In a poll conducted for the AP by Ipsos-Public Affairs, a third of respondents said they were dissatisfied with the amount of stress at work. Other leading complaints included advancement opportunities and health and retirement benefits. But half of those surveyed said they find their job very satisfying and four in 10 rated it somewhat satisfying. The number of payroll jobs has grown by 1.7 million in the past 12 months. But the economy still has lost 913,000 positions since Bush took office in January 2001. The recovery is the weakest on record for job creation, bolstering Democrat John Kerry's argument that workers are struggling even more financially. "Wages will continue to only grow modestly, more workers will be compelled to accept positions without health benefits, and benefits packages, generally, will continue to deteriorate," said Peter Morici, an economist and professor of international business at the University of Maryland. That could pose problems for Bush in some of his campaign's must-win states that were hit hard with job losses, including Ohio, Michigan, Missouri, Pennsylvania and Oregon.